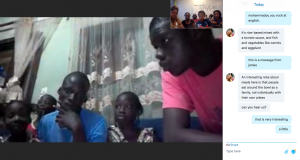 In Learning Life’s fourth live, international, family-to-family dialogue, we returned to Senegal to talk about food, education, politics, music and dance, and more with a new Senegalese family. 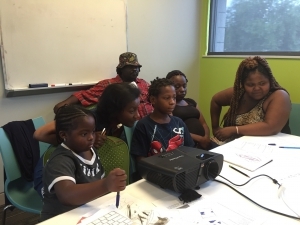 On Saturday, September 18, Learning Life volunteers gathered with members of two American families in Washington D.C.’s Anacostia Library to connect with the Gueyes, a family of eight living in a suburb of Senegal’s capital, Dakar. This was Learning Life’s fourth live dialogue, following our first with a different family in Dakar three weeks ago, and two dialogues with four families in El Salvador in the interim. 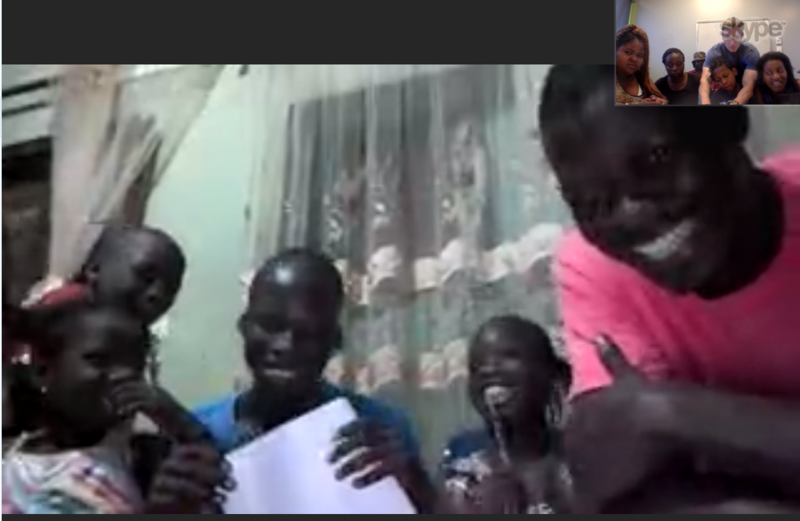 Following introductions, the Senegalese family siblings, ages 7 to 27, launched into questions they had written down. “What significant events are happening in your country right now?” Samba, 16, asked rhetorically with a smile. That question quickly led where Samba expected: to the fast-approaching U.S. presidential election. The families on both sides of the Atlantic expressed support for Barack Obama, but some ambivalence about Hillary Clinton, and above all, Donald Trump. 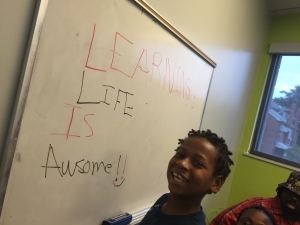 The questions then turned to education as the oldest Gueye sibling, Moukhamadou, a 27-year old English and French language teacher, asked Elsie, one of the Americans who is a literacy coach, why she teaches. “I teach because I know how much education has done for me,” Elsie responded. Elsie, at age 21, has a Master’s degree in public policy. Moukhamadou, in turn, is pursuing a Master’s degree. The conversation moved to food and culture as the Americans in turn asked the Senegalese what significant events are occurring in Senegal. As the Gueyes explained, they recently celebrated Eid Al-Adha, a four-day Muslim holiday in which, following tradition, they slaughtered a sheep and shared its meat. The Gueyes explained that they often eat from a common bowl rather than on separate plates. The American participants, ages 7 to 42, considered the merit of eating from a common bowl — namely, the keener feelings of sharing and belonging — against hygienic concern about the handwashing practices of those eating from the same bowl. As with one of our recent dialogues with Salvadoran families, this Senegalese-American dialogue finished with music and dancing as the participants shared songs and dances they like. With smiles and waves, the families resolved to dialogue again in mid-October. Learning Life’s Citizen Diplomacy Initiative offers American families (and eventually all participating families across the world) that have few if any opportunities to travel the chance to dialogue and collaborate on projects with families in other nations for their mutual educational and cultural enrichment. In coming months, all participating families will begin a project that will gather their photos from across the world answering the same question: what is the past, the present, and the future of your community? Special thanks to Learning Life volunteers, Emilie Mondon-Konan for her assistance with language interpreting on the American side, and Samantha Macfarlane and Moukhamadou Gueye for their help with interpreting and organizing this dialogue on the Senegalese side.